Welcome to Day 1043 of our Wisdom-Trek, and thank you for joining me. Hello, my friend, I am Guthrie Chamberlain, your captain on our journey to increase Wisdom and Create a Living Legacy. Thank you for joining us today as we explore wisdom on our 2nd millennium of podcasts. 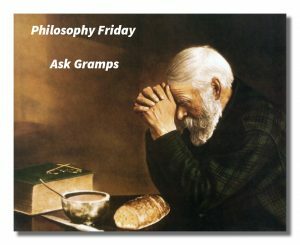 This is Day 1043 of our trek, and it is time for our Philosophy Friday series. Each Friday we will ponder some of the basic truths and mysteries of life and how they can impact us in creating our living legacy. We have concluded our deep dive into the nine types which are “The Reformer,” “The Helper,”“The Achiever,” “The Individualist,” “The Investigator,” “The Loyalist,” “The Enthusiast,” “The Challenger,” and “The Peacemaker.” Nine weeks ago, we began a series of episodes on Type Combinations, answering the question, “What are the potential relationship benefits and issues with each combination?” Covering all of the 45 different potential type combinations will take several weeks, but will be valuable in understanding each other, regardless of what type you are and what type those with whom you interact with each day are. 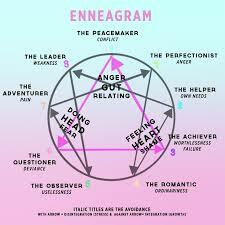 Enneagram Fours and Sevens tend to be intrigued by each other since they are a generally a case of opposites attracting. Fours tend to be quiet, introverted, self-doubting, emotional, and pessimistic, while Sevens tend to be outgoing, extroverted, self-confident, mental, and optimistic. Sevens help Fours overcome shyness and a possible reluctance to try new experiences. Fours help Sevens stay focused on what they really want—and to respect and follow their feelings. Fours and Sevens bring to their relationship the charge and mystery of their differences—that they think so differently, react so differently, and find pleasure in such different ways. They can, therefore, become intrigued by the other, finding him or her endlessly fascinating, always ready with something new and unexpected. Both Fours and Sevens bring a capacity for joy and ecstasy, spontaneity, emotion, and passion. Both Fours and Sevens love lively conversation and can pass hours sharing with each other detailed accounts of the events of the day as well as their thoughts and reactions. Both Fours and Sevens love the finer things of life—travel, good food, wine, clothes, and furnishings, and, for better or worse, both can tend to overspend their incomes on what they consider life’s necessities—caviar, champagne, and another trip to Europe. They both have a love of the new and a sense of adventure and romance that can keep their relationship fresh and lively for themselves and be a source of joy and inspiration for others. Both types can be funny, irreverent, and entertaining. There is also an earthiness and bawdiness to both, as well as, paradoxically, a sophistication and elitism. Being opposites, Fours and Sevens can balance each other. Fours bring a sense of depth and interiority, while Sevens contribute a sense of fun and emotional resilience. Because they are so different in many ways, Fours and Sevens must have several strong points of attraction or else they will likely miss connecting with each other. Unless some strong passion (romantic, mental, or spiritual) keeps them together, they are likely to fly apart if there are any deep disagreements or conflicts early in the relationship. Both types tend to be impulsive and to be easily frustrated with others when they are disappointed or if their life circumstances do not go as they expect. Both have high expectations for the kind of attention and quality of interactions they want from others, and if they are not forthcoming, both tend to not give others too many second chances to prove themselves. While Fours may admire and even secretly envy the Seven’s resilience and high energy, they may also find themselves worn down by their fast-paced lives and what feels to Fours like the Seven’s relentless plans and activities. Fours can see Sevens as too noisy, superficial, insensitive, and occasionally coarse and insulting without realizing it. On the other hand, Sevens may admire and try to imitate the Four’s artistic flair, creativity, and appreciation of subtlety and beauty. But Sevens can also see Fours as hypersensitive, ineffectual, impractical, moody, and self-absorbed. In addition, if the relationship worsens, Fours usually become more withholding and hostile, snipping at the other from a safe distance. Sevens become more impatient, abrasive, and can be verbally abusive. Fours may want to talk about everything that has gone wrong with the relationship in great detail with the Seven. By contrast, Sevens typically want to move on to something more promising and upbeat. The result is that underlying problems do not get resolved adequately. Once this relationship curdles, virtually everything each admired and was attracted to in the other becomes irritating and insufferable. This can be one of the most creative relationship couplings, although it is also one of the most inherently volatile. 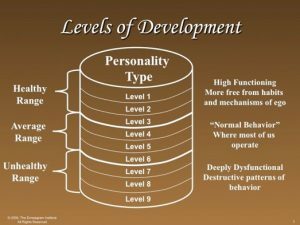 Both Enneagram Fours and Eights are intense and have strong emotional responses; both seek to get a reaction from the other, and both can be dominating of their environments—Eights are socially dominant, Fours are emotionally dominant. Both types bring passion, intensity, energy, and deep (often unconscious) feelings to all aspects of the relationship. They are attracted to each other’s storminess, the other’s vulnerability, and the other’s “hidden” qualities: neither is what they seem to be on the surface. 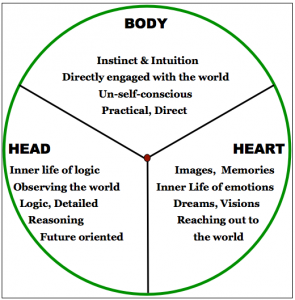 Both types are also highly intuitive—Fours by being self-aware and knowledgeable about how they are feeling, and Eights with their intuition about external phenomena, often with an extremely accurate insight about the potentials and possibilities exhibited by others. Because of their passionate natures, both types can become impulsive and reckless, taking extreme risks for love of thrills or for the sensation of being alive—and this can be tremendously exciting to the other. But there are trade-offs: Fours tend to depend on the Eight’s practicality and ability to protect and provide for them, whereas Eights tend to depend on the Four’s sensitivity and mysterious sense of challenge—the Four’s emotional life and heart may be one world that the Eight cannot easily conquer. On the other hand, Fours see strength, charisma, and solidity in Eights. Both feel that the other can meet their intensity—that the other will not be boring or non-responsive to them. They make each other feel more alive—something that both want. Intensity, vitality, passion, and immediacy are the emotional hallmarks of this couple, and they relate to each other (and to others in their world) from an unusually high emotional pitch—there is always something happening in their relationship, and they like it this way. Both types take a certain pride in having a “larger than life” quality about them: Eights in their larger than life willpower and quest for control, Fours in their larger than life emotions and quest for self-expression. Both types want to be free and to be free from having anyone control them, particularly in their careers and private lives. If they feel that the other is trying to control them, both types can become enraged, easily triggering a gargantuan battle, financial and sexual intrigues, and rampant feelings of hatred. Both Fours and Eights are emotionally stormy and prone to periods of rage, depression, vengeance, and various forms of acting out. 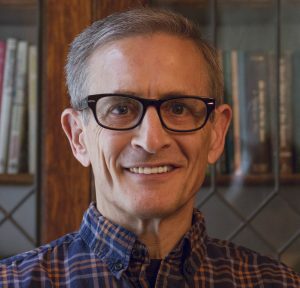 When conflicts between them reach a certain pitch, arguing replaces real connection, and fighting (and possibly physical violence) becomes an increasingly common element of their communication, with the violence often running both ways. They can also begin to get into the practice of fighting and making up because both are more exciting that way. They can also begin to punish each other by withholding attention and affection and by verbally putting the other down, often in public. 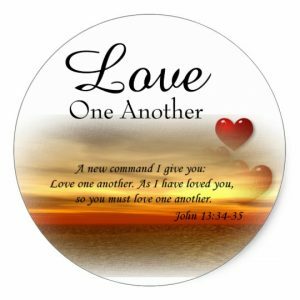 No coupling is more passionate than the Four/Eight combination—nor is any couple more likely to deteriorate into verbal and physical abuse and various kinds of personal retaliation for escalating offenses. (They also tend to draw their friends and family into their conflicts, trying to make others choose sides.) They may get into the feeling that they are not able to stop themselves from hurting each other, as much as part of them would like to quiet down and become more normal. The passionate attraction that they have for each other can end in obsession and hurtful, ruinously impulsive actions. This can be, paradoxically, both a very comfortable—and yet exciting—relationship pair. 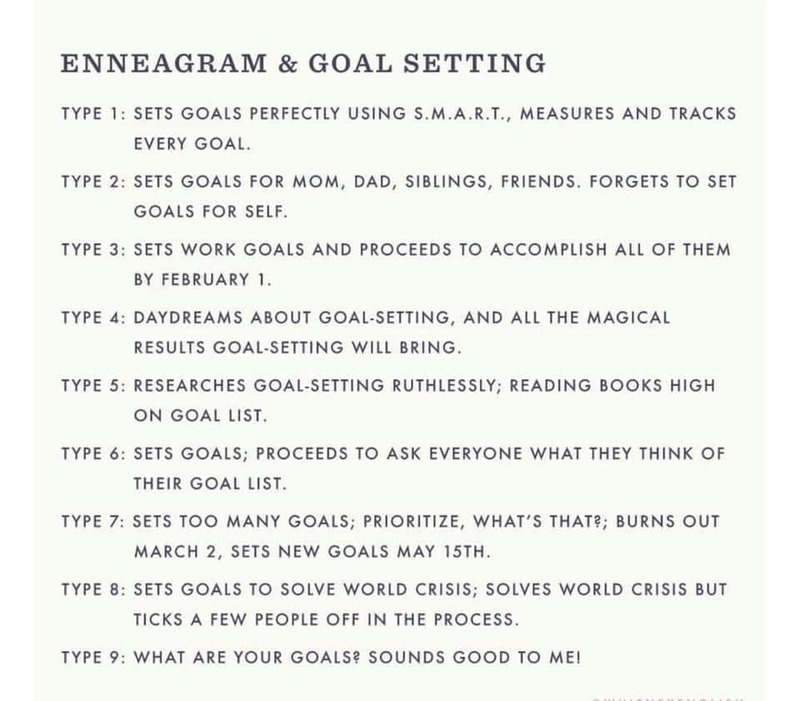 Enneagram Fours and Nines are both withdrawn and private, sensitive to the feelings and needs of the other, and empathetic to the suffering of others. Both can be tender-hearted and highly sympathetic to the suffering that they find in the world and in each other. Both want to find a deep connection with the other, and yet, both also want a certain degree of autonomy and insist on a very real degree of privacy. Both Fours and Nines can be highly creative, and as a pair, they enthusiastically support the other’s creativity and give the other a good deal of space in which to develop their talents. Both are idealistic and want to connect deeply with someone, feeling that they are on a search for their soul mate, the one person in the world with whom they can completely connect and be themselves. Both Fours and Nines also bring sensuality and love of comfort that is noteworthy; this may express itself in their lifestyle, traveling habits, and in their sexual and other intimate activities. This is a couple that likes to stay in bed all Sunday morning, reading the papers and talking. Each brings passion and an appreciation of the other coupled with a desire to be comfortable and build a life with the other. Fours can make Nines become more intense and expressive about how they feel, while Nines can allow Fours to feel understood and accepted for who they are. 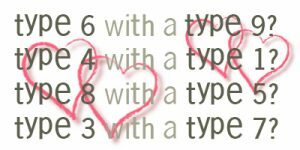 Fours are good at naming feelings and pinpointing emotional states; Nines are good at creating an atmosphere of nonjudgmental acceptance, Nines may even enjoy the emotional storms and dramas that Fours occasionally get into, feeling that it adds spice to their life together. A lot of the pleasure and passion of this couple is nonverbal in the depth of the understanding that each has for the other. The biggest area of conflict between Fours and Nines is that each tends to react differently as stress increases. Fours become more emotionally volatile and demanding, while Nines become more disengaged and impossible to get through to. Fours can feel too unstable and dramatic, unpredictable and moody for Nines, while Nines can feel too unresponsive and emotionally inert, unsatisfying, and uncommunicative for Fours. Nines can become angered by the Four’s sense of entitlement and demands for attention and exemption. Fours can become angered by Nines’ irresponsibility and apparent inability to learn from their mistakes and experiences. If conflicts and tensions increase between them, Nines can shut down more and more so that communication stops, and they give Fours the subtle message that they don’t want to hear their reactions or deal with their feelings. Fours can feel that talking with Nines is like playing tennis with yourself—there’s no one to hit the ball back—and there is too little relating in the relationship. Contempt for what Fours see is boring and ineffectual can end the relationship. 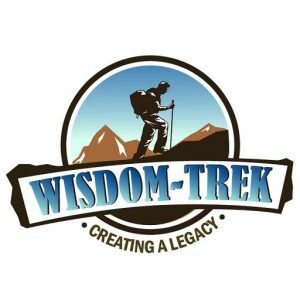 If you would like to listen to any of the past 1042 daily treks or read the associated journals, they are all available at Wisdom-Trek.com. I encourage you to subscribe to Wisdom-Trek on your favorite podcast player so each day will be downloaded to you automatically.